Simone Zaza is going to complete his loan move towards AC Milan within few days of this transfer window. The Italian striker is leaving his present club Valencia as the club management are going to bring in the Atletico Madrid striker Kevin Gameiro. Simone Zaza’s transfer saga is going to be really interesting as he will be a part of the three way transfer. AC Milan will release their centre forward Kalinic as the player is on the verge of joining Atletico Madrid in this summer transfer window with a transfer fee worth £30m. On the other hand, Atletico Madrid will let their striker Kevin Gameiro go to the La Liga side Valencia with a transfer fee worth £16m. If these two deals take place at the right time, Zaza is expected to make a loan move towards AC Milan in the next season. AC Milan are currently going through a financial problem. Their main summer transfer target was the star centre forward of Lazio, Ciro Immobile. But,now the Serie A Giants AC Milan can not buy the striker with a huge transfer fee around £50m. So, they are now considering the move for Simone Zaza for immediate replacement of Kalinic. Andre Silva is also going to a new club in the next season possibly with a low move. It will be a great opportunity for the 27 year Italian centre forward Simone Zaza to play at the upfront of the AC Milan’s starting line up in the next season. Simone Zaza can also be used as the second striker behind the centre forward for AC Milan. Simone Zaza has made 33 appearances for the La Liga side Valencia and scored 13 goals in La Liga last season. Simone Zaza has the experience of playing in various sides of different leagues in Europe. He has played for Juventus, Sassuolo and Sampdoria in Serie A. So, the condition will be familiar for Simone Zaza to excel himself again in Italian football. But, the passing accuracy and ball control ability of the player are not up to the mark. Simone Zaza has to work hard to get those things right in the next season. The physicality of the striker in the box is surely one of the key strengths of the player which is difficult for the opponent’s defenders to handle. Now, we have wait and watch how Simone Zaza adapt himself in the squad of AC Milan in the next season. 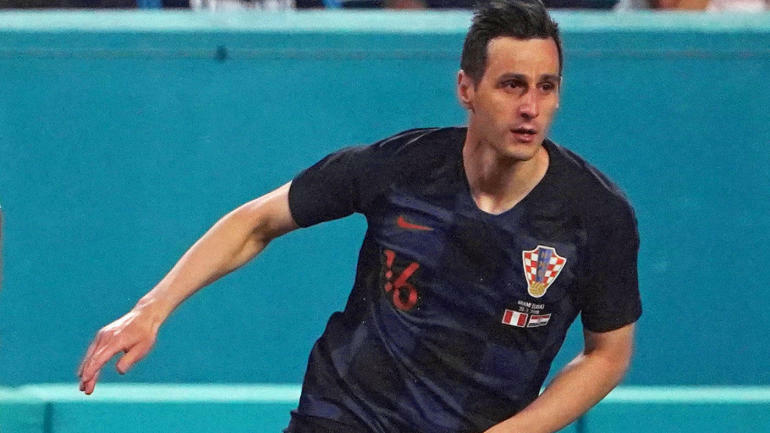 The name of Nikola Kalinic has been there in the news headlines for last few days as the Croatian International centre forward has refused to come as a substitute in the match against Nigeria in the World Cup and after that he was sent to home for his disgraceful behavior. Though some sources have confirmed that the Croatian centre forward was having an injury from previously. Now, this player will try to begin his career in a new mode in the next season and we can hope that, these three transfers will help all three clubs and the players in the next season.